2018 Hypomalanistic Iguana hatchlings. - On sale Now, Sale ends Thrus 6:00 pm Updated video look how nice these iguanas are, check the red out, these iguanas have amazing colors as adults. 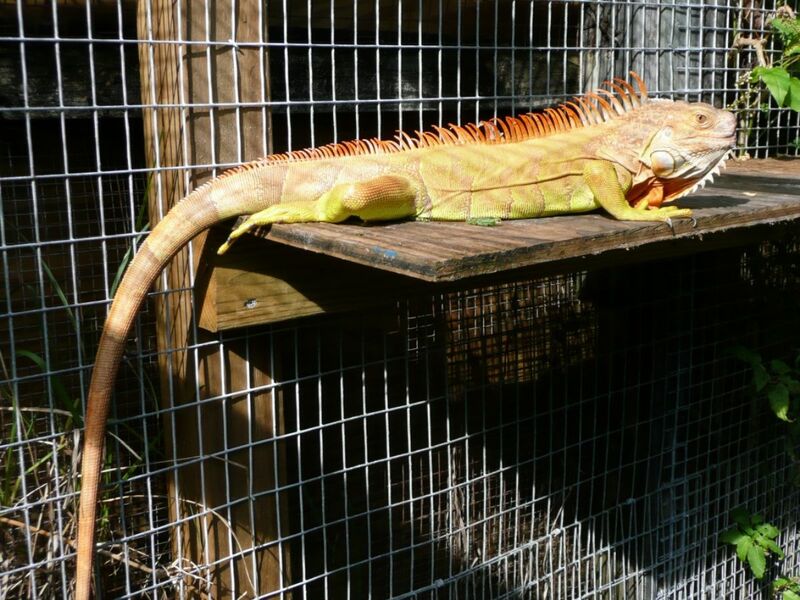 $750 each Text 754-444-1710 or email Hypo animals lack the dark pigmentation making them an intense yellow color. During breeding some will change with Red highlights on a bright yellow back ground. 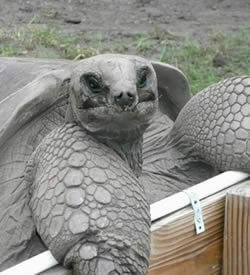 Bred and raised on our farm in Southern Florida. Video: https://youtu.be/cQAxcjVhfi0 $1,000 each Live arrival guarantee. one year health guarantee see web site for other details. Supply is limited. All animals that are sold are guaranteed eating and growing. 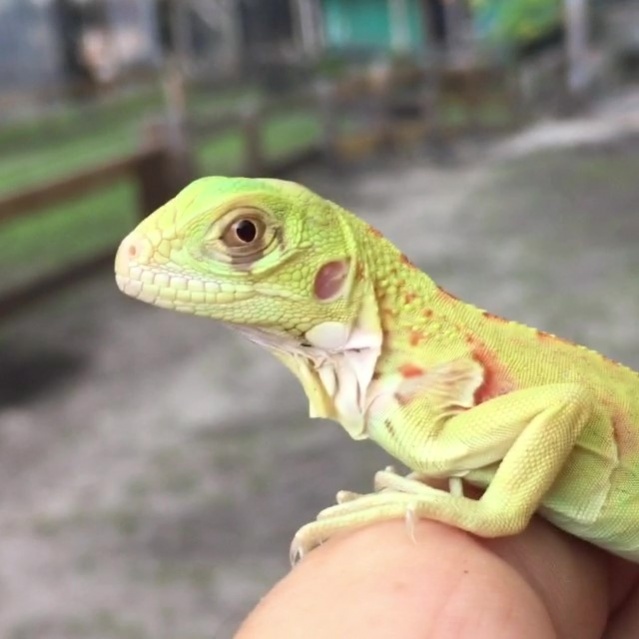 Same care and feeding as normal green Iguanas. . Hypos do not have Red eyes Like Albinos yet they look like Albinos. however; their eyes do appear different then normal. Hypomelanistic Hypo is short for hypomelanistic which means that the animal has reduced ability to produce black pigmentation (melanin) in iguanas this is most evident in the black banding on their tails, There are different degrees of "loss of Black pigment" some just have mild black pigment loss some bands look a shade of grey and some bands are so absent of black pigment the banding looks a light shade of red or orange. 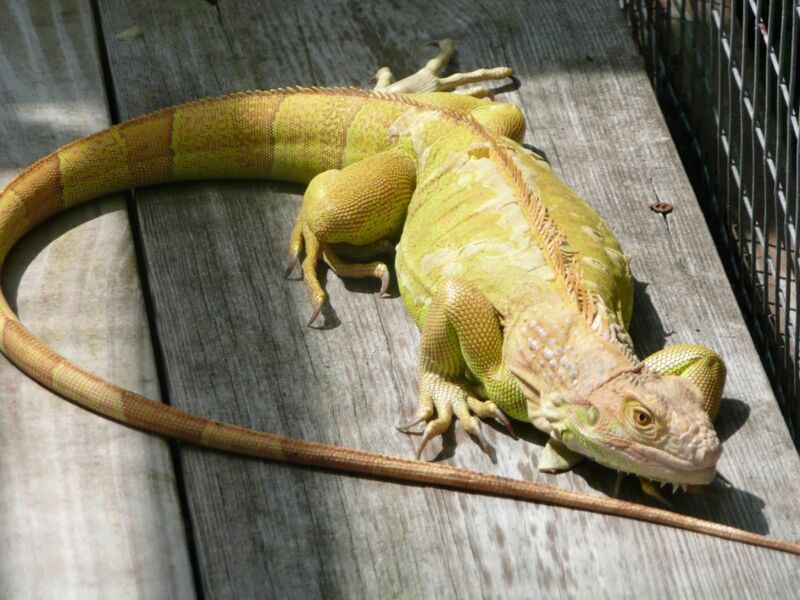 a high grade Hypo iguana looks yellow with this light banding on the tail. Some breeders also produce Hypos however, they elect to call them different and fancy names. I guess i am just not as creative as them. These particular animals are very pure when it comes to lack of black pigmentation. They will make a great display animal or an impressive pet. Please let me know if you have any questions. 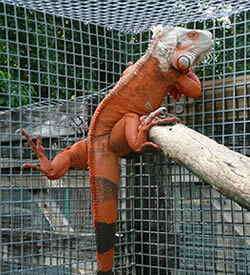 Updated video look how nice these iguanas are, check the red out, these iguanas have amazing colors as adults. Hypo animals lack the dark pigmentation making them an intense yellow color. During breeding some will change with Red highlights on a bright yellow back ground. Bred and raised on our farm in Southern Florida. see web site for other details. All animals that are sold are guaranteed eating and growing. Same care and feeding as normal green Iguanas. however; their eyes do appear different then normal. Hypomelanistic Hypo is short for hypomelanistic which means that the animal has reduced ability to produce black pigmentation (melanin) in iguanas this is most evident in the black banding on their tails, There are different degrees of "loss of Black pigment" some just have mild black pigment loss some bands look a shade of grey and some bands are so absent of black pigment the banding looks a light shade of red or orange. 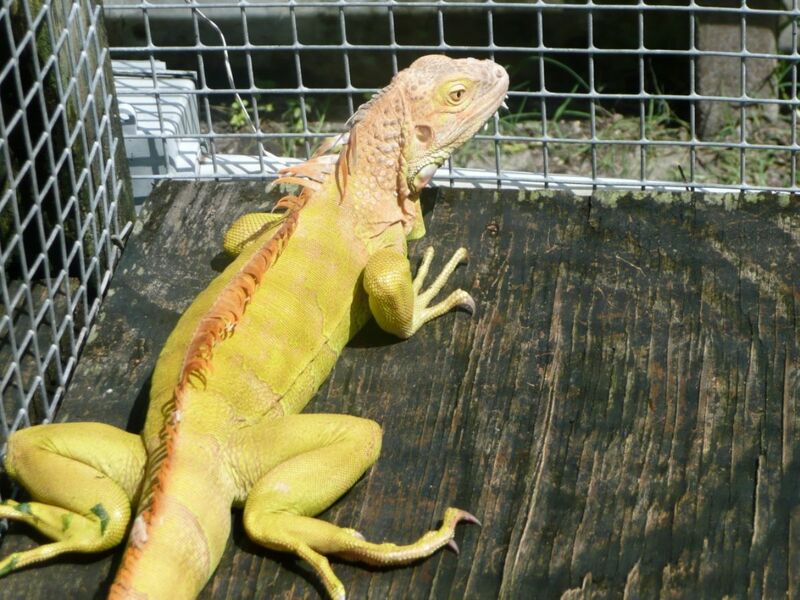 a high grade Hypo iguana looks yellow with this light banding on the tail. Some breeders also produce Hypos however, they elect to call them different and fancy names. I guess i am just not as creative as them. These particular animals are very pure when it comes to lack of black pigmentation. They will make a great display animal or an impressive pet.